In time for the Holidays – My First Cookbook! Well, some of you guy may have noticed I wasn’t posting as much on the blog the past few months. 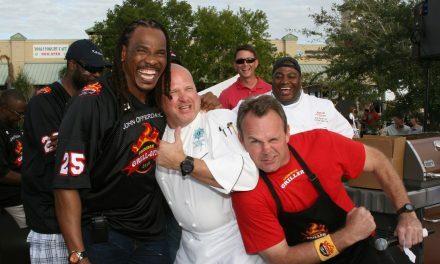 There was a reason- I was working on my first cookbook entitled “Meal on the Grill: How to Make a Meal from Appetizers to Dessert Entirely On The Grill”. For those of you who have been reading my blog for a while, you are no stranger to my “Meal on the Grill” concept where I encourage you to do your apps, sides and even desserts all on the grill (in addition to the entree, of course). Too many times you see someone outside grilling where their counterpart (often times the wife) is stuck inside making a side dish. This cookbook shows you how to create different zones on your grill so you can maximize your grilling space and also maximize your time cooking outdoors enjoying yourself! ALL MADE ON THE GRILL! Downloadable on amazon for the kindle. If you would like to read on your ipad there is an app that will let you convert from kindle to ipad. If you are part of the media and would like a copy for review, please send me an email at robyn.medlin@gmail. 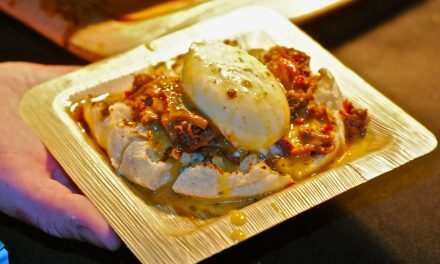 BBQ On The Beach: South Beach Wine and Food Fest Goes Hog Crazy this Year! Congratulations on your new cookbook, which I just bought 🙂 Looking forward to reading it cover to cover!! That’s quite an achievement and congrats. Will head over to get my own copy, since my wife and I had decided to go on the grill path this new year. Will possibly come back to post my review to encourage ardent followers of your blog to do same. Keep up the good work. Thanks for your support Sam! 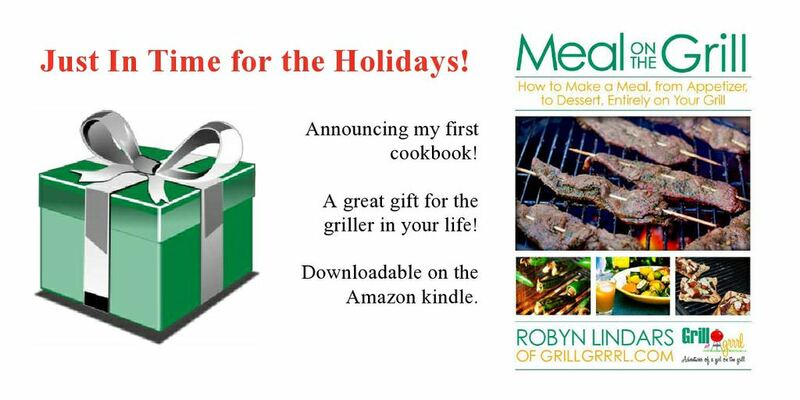 !Yes, go on the grilling path- healthy and so much fun!